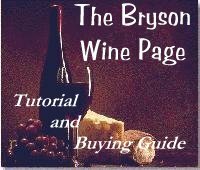 Wine Regions This page is intended to serve as a basic guide to wine buying and drinking. We'll cover basic distinctions between types of wine, as well as wine-making regions, and make some suggestions as to how you can get the most for your wine-buying dollar. Wine does not have to be complicated. Yes, there are innumerable wine regions and wine makers, and yes, there is a dizzying variety of wines on the market. Don't panic. Don't let your eyes glaze over, shrug, and reach for that familiar jug because "wine's just too complicated."